How to Create Strong and Secure Password. Password is the key factor that protect your computer, email id , documents and online bank account etc from unauthorized access . A Person who knows password can only access password protected systems like email id , Password protected documents ,bank accounts etc. However there are some hardware and software combination used by hacker to crack weak or unsafe password ( Success rate of cracking password depends upon password strength ) .Although its hard to crack any password via software and hardware machines , but its is possible to crack weak password that's why while creating any email id , online bank login etc you are asked to create Strengthen password .In this Article we will help you to increase password strength and its protection against Hacker by creating strong password and blocking there access points to your password . Avoid Short length passwords . People use's short length passwords so that they may remember there password easily . This could proves to be a Closed door with key for a hacker , Since short length password may be easily cracked because probability of cracking these password is very less and can be cracked via Hacking Machine that's why all reputed Social networking sites and email service provider ask there user to enter more then a fixed digit to ensure best Password protection . Create Long Length Passwords . 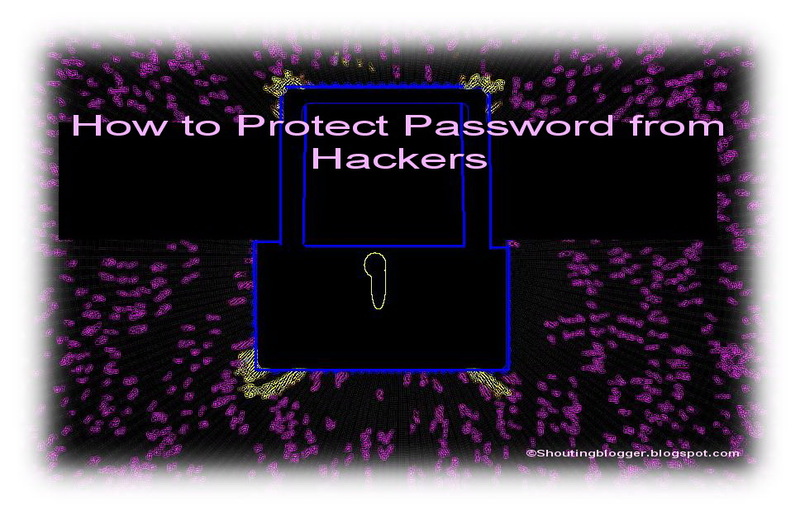 Long length passwords are best for password protection because these long passwords are not easily hackable via pro hacking tools provided they contains unique Digits without any Repetition. Actually Probability of hacking long passwords depends upon there total length of passwords , More length of passwords means more time it require to hack any passwords that's why you should create minimum of 10 to 14 characters length passwords more then minimum passwords characters length are way to good for protection against hacker . People like's to create such password which could be easily remembered by them , So most of them do create common password like mobile number , Name ,Nick name and even Pet name , these type of passwords contains series of common words like all alphabet character , all Numerical character etc due to which these passwords can be easily hacked , Even hacking account with common passwords does not require any skills even Non technical hacker can hack it , that's why you must stay away from using these common passwords . Complex passwords are best for account protection ,Complex passwords are not easily hackable and probability of hacking these complex passwords are too high almost impossible , A complex password is the combination of prime numbers , alphabetic , Numbers and special characters with minimum of 10 to 14 characters length . A proper combination of complex passwords improves your account protection to 99% . After using same password for long time , you must change your password to keep your login credential safe from unauthorized access there are 60% chances that we disclose our password by mistake while login from public computer , login in front of others etc.